If you follow me on Instagram, you'll know that we just returned from a 1 week, childless trip to Scotland and England. I kept it quiet here on the blog because Grant doesn't like it when I broadcast to people that I am leaving the country and that our home is open to robbers. I'm not sure why I feel like it's okay to post onto Instagram and Facebook about it and not the blog, but whatever. Plus, the blog requires me to form cohesive thoughts and paragraphs. When I post pics I can just convey my message with hashtags. If the Olympics offered medals in laziness, I'd win the gold every time. So, today I thought I'd talk about how this whole trip came about and all of the pieces that fell into place to make it into a reality. Let's start by talking about Tiffany and Justin. Tiffany and I went to school together for most of our lives but didn't really get to know each other until Senior year of high school. We had a class together. Is "Counselor's Assistant" considered a class? I don't know. All I know is we sat and ate snacks and walked around the halls together and occasionally delivered passes to students and helped the counselor's with various tasks. 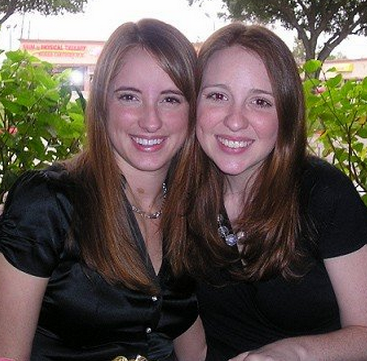 Since we are both on the petite side and also red-headed, many people thought we were twins. We used this to our advantage. Somewhere along the line, we realized that both of us were going to be attending the University of North Texas in the Fall. We agreed it would be better to room together than risk going potluck. So, we decided to become roommates. One of the best decisions I've ever made in my entire life. Tiffany and I lived together for 3 years. It was some of the most fun I've ever had in my life. We spent our days eating Lipton Pasta Sides and Kraft Macaroni and Cheese. We made up a dance to theme song to Law & Order: SVU. One of us always had a boyfriend so that someone would come over and take our trash to the dumpster for us. We once spent an entire 24 hours without leaving our dorm room and we spent that entire day watching Lifetime movies. We both love carbs almost as much as we love each other. It was a match made in heaven. I moved to Louisiana after I married Grant. She married Justin and after we moved back to Houston, we started hanging out and that's when we realized that we had just helped to create one of the greatest bromances the world will ever know. Grant and Justin love each other so much that Tiff and I have decided that if they ever run away together that she and I will just be roommates again so it's really a win/win for everyone. We share a love of television and comedy and random trivia. We could quote television shows, movies, and SNL sketches for a living. I'm not lying, we could get paid to quote SNL sketches. Or Friends episodes. We have spent many hours brainstorming about how to make this profession a reality. To this day, when one of us comes across something funny, we immediately screen shot it and send it to one another. We are curators of funny things and I treasure her for brightening my every day life. Tiff is a joy and she's incredibly compassionate and kind. She loves my Ellie like her own and Ellie adores her "Tiffy and Justin". The boys play golf frequently and when they do, Tiff and me and Ellie will have ourselves a girls' day. It's just delightful all the way around. As Ellie has gotten older, I've realized that Grant and I have not taken many trips away from her. It wasn't intentional, but we just haven't made it a priority. The last time we were away from her was 2 years ago for 2 nights. We've each had a few nights away from her since then individually, but never together. And these trips were just to little places around Texas. I've always wanted to go to London, and while we intended to go before we had children, it just never happened. Ellie is close to 3 and I knew that Baby #2 was on the horizon. We realized that if we didn't go now, it would probably be several more years before we felt comfortable going. So, last Fall, we asked Justin and Tiff if they would be interested in a trip to the UK with us. Tiff shares my love for history and all things old, while Justin and Grant immediately began daydreaming about golf courses. We decided to go. We booked the trip months and months ago and were excited that we all finally "bit the bullet." And then, life got crazy. After almost a year of looking for a house, we had all but given up. And then this one appeared. And we bought this house and we moved and we sold the old house. And we found out we were pregnant. And we went to Disney World with Grant's family. And Grant suddenly changed jobs. And all of a sudden this Europe trip became very daunting. But, the tickets were purchased and the hotels were booked. This was happening. In the midst of this crazy, insane season, this was happening. My parents agreed to watch Ellie. They were real torn up about it, except not at all. My dad bought her a barrel of gifts to welcome her to Camp Grammy and Pops. She was thrilled with the whole thing. I was a little bit anxious. Okay, a lot anxious. Keep in mind that we haven't been away from her in 2 years, and even then that was only for 2 nights. And we were only 2 hours away. I've gone on two Girl's Weekends since then but she was with Grant the whole time. So the idea of dropping her off with someone else, even with it being her grandparents, and then flying across the Atlantic Ocean and not seeing her for 8 days was a little more than I could wrap my mind around. Before we left, I typed out some helpful tips for my parents such as what foods she will eat (there's a limited variety), insurance information, school drop off/pick up instructions, and some help with translation. For instance, if she asks for "Green crunchies", that means she wants veggie chips. If she asks for "new minions", she would like to watch Despicable Me 2. I also went to the dollar section of Target and bought her a small little gift for her to open each morning from Mommy and Daddy. Grammy said this was a huge hit. I did better than I thought I would do at saying goodbye, although I did tear up. I did not, however, fully turn on the weeping. I held it together. I knew she was in good hands, and I knew she would have a blast. I just knew I was going to miss her like crazy. At the same time though, I was so excited to go on this trip that I've wanted to go on for years. We were off to the airport! Tune it to my next post where I discuss what I like to do on long flights to another continent and my thoughts on people being barefoot in airplane bathrooms. Okay, I loved this whole post, but my mind is now stuck on the very last phrase. BAREFOOT?!? In the AIRPLANE BATHROOM?!? That actually makes me want to vomit - and I'm just reading about it. I cannot. I may not be able to read that post.